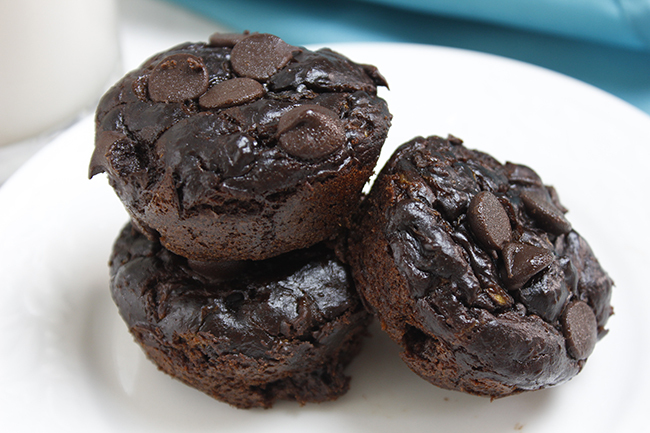 Ok, what I'm about to tell you may be hard to believe, but these are zucchini muffins and they are the most delicious chocolate treat I've probably ever had. Aside from being mouth watering, they are actually (wait for it) ...........healthy!! Ok, the only 'naughty' ingredient is the chocolate chips, but I opted for a dairy free version that make even those a little guilt free. I hear you. I thought the exact same thing. And guess what? They were....so I would randomly just crave them but $5 is a bit steep for a chocolate addiction so I went on a mission to find a recipe and make them myself. I found a few recipes on Pinterest which you can find in my yumminess board. But I ended up modifying a little. Combine all the ingredients EXCEPT the Zucchini and chocolate chips in a food processor and blend until smooth. Scoop into a mixing bowl and stir in the zucchini and chocolate chips until well mixed. 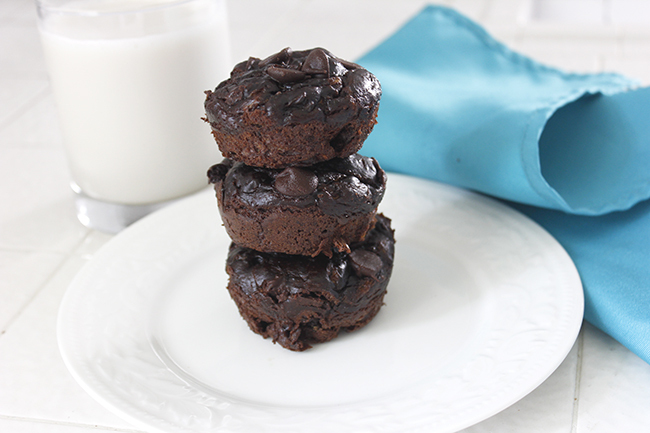 Scoop mixture into muffin tins until they are about 3/4 full and sprinkle more chocolate chips on top. Bake for 20 minutes or until you stick with a tooth pick and it comes out dry. Let stand for 10 minutes before removing from muffin tin. Then place them on a cooling rack for another 10 minutes. Optional: When storing them I put them in the fridge. So GOOD!